Really big warehouse/madhouse full of really cheap stuff! Pretty much if it’s made in China, it’s been unloaded here. 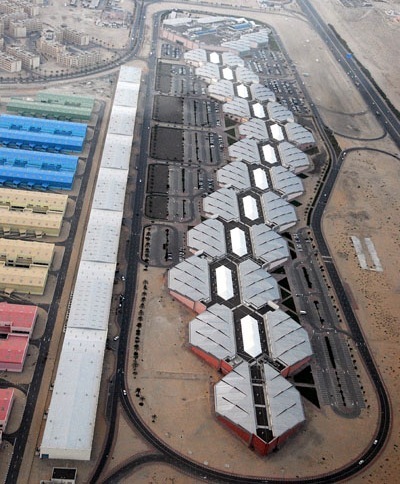 At 1.2 kilometers in length, it is the largest hub for Chinese products outside of China. 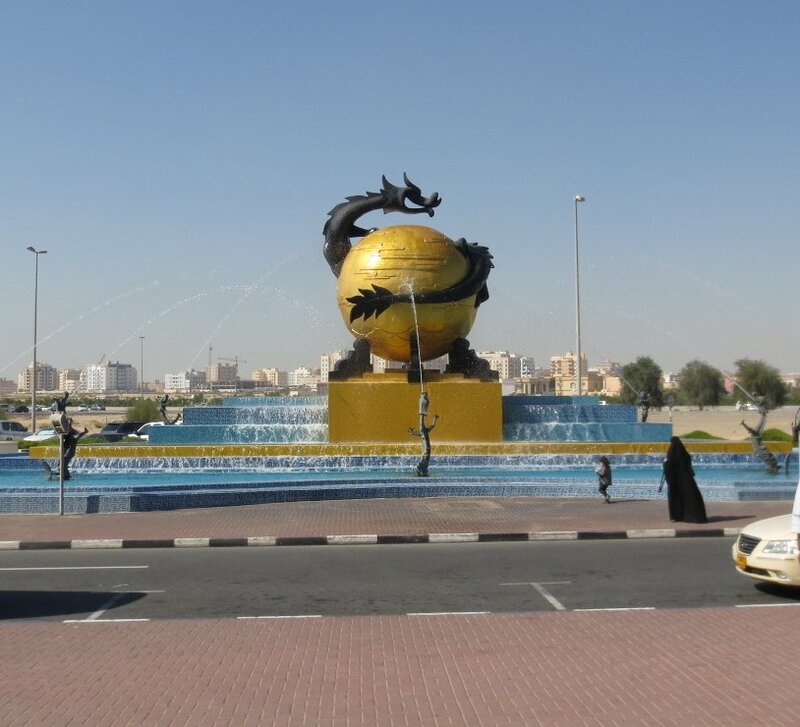 This market is truly huge, contains over 3500 individual shops, and is generally open from 10 am till almost midnight. 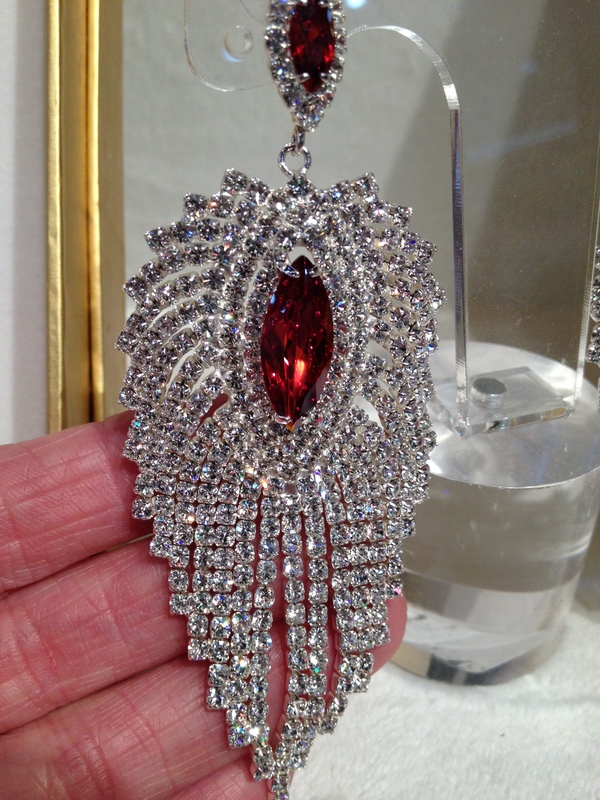 You can buy wholesale or retail here, and bargaining for the best price is a must! 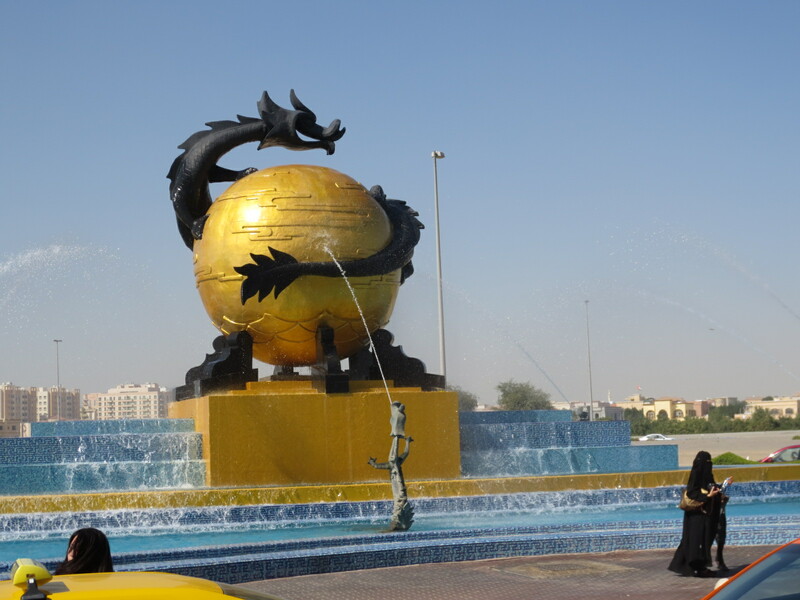 Here’s a picture of the dragon-shaped facility – notice that even the end of the head is marked by a “tongue”. So, what do they sell you ask? Everything. 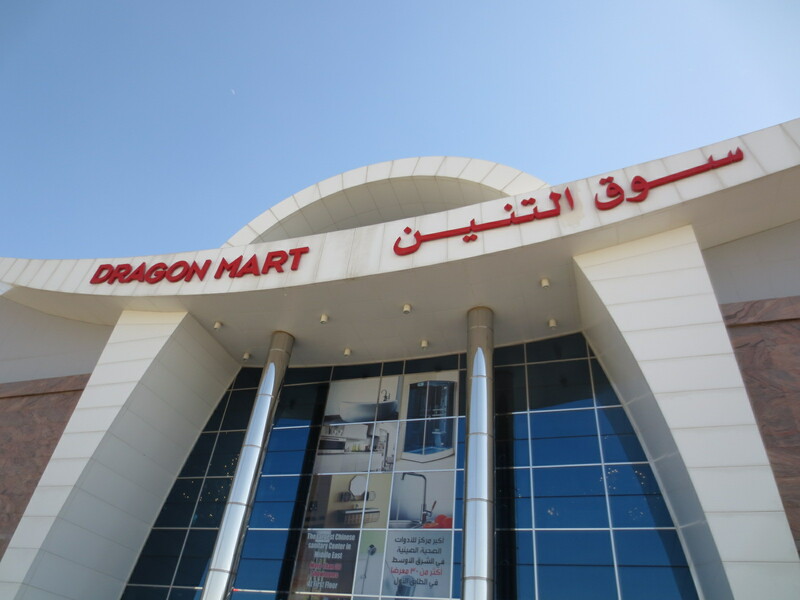 Our experience there started with a perk from the bank we use here in the UAE – if you are an HSBC customer with a Platinum Advantage credit card, you will receive valet parking at no charge for as long as you shop. This is about a AED17 perk, so drive right up to one of the orange cones beside the “valet parking full” signs that they must use to simply block the lanes. They’re really not full. Plus, you won’t be adding a long walk after your shopping, and this is a big deal, so take advantage of that HSBC perk! 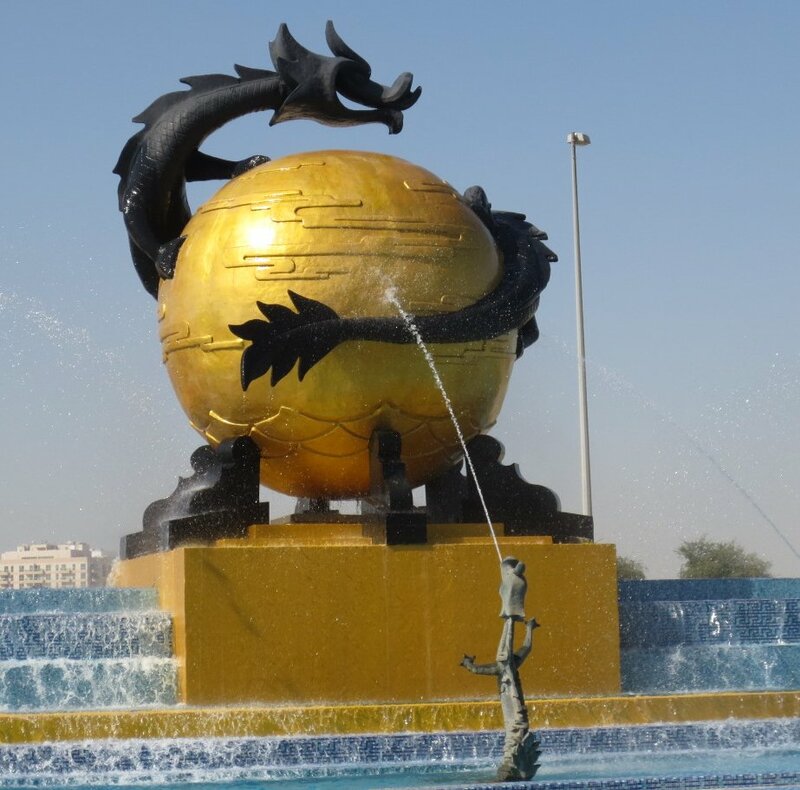 Oh, out front is a cool fountain with a globe and a dragon wrapping itself around the globe – pretty cool for photos, and the entrance is dramatic. 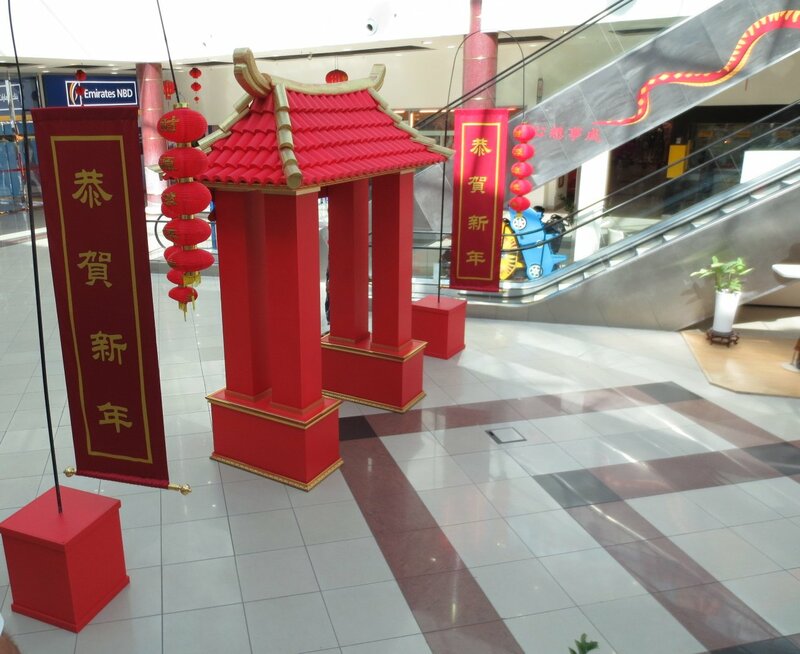 If you’ll look off to the sides, there are also some small outdoor kiosks, and the prices there were better than many shops inside! First stop was a costume jewelry section – the facility is roughly separated into like shopping, all the tools in one section, all the jewelry in another, etc. I say “roughly” because it was likely the original plan, but once a shop owner has a shop, they’re gonna sell everything they possibly can. Little separation. 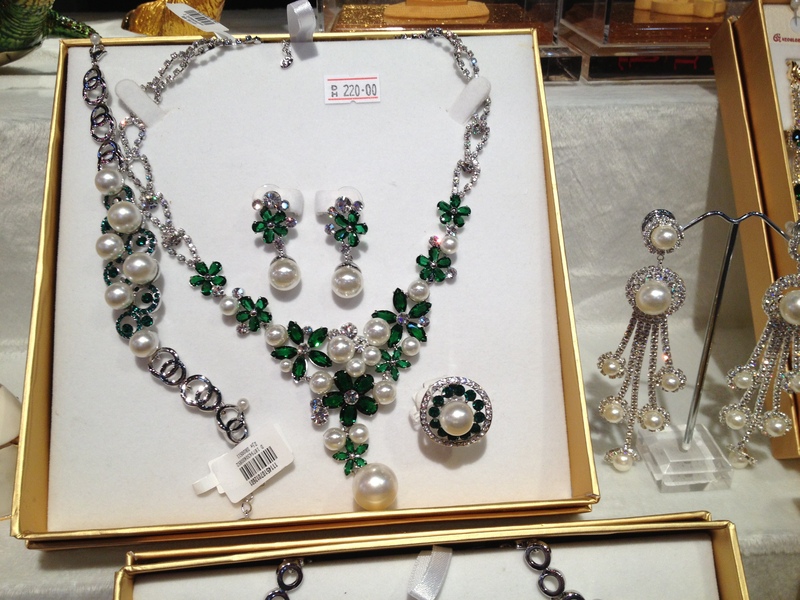 I took a couple photos of some “pageant jewelry” that I thought my friends in Alabama in the US would appreciate. 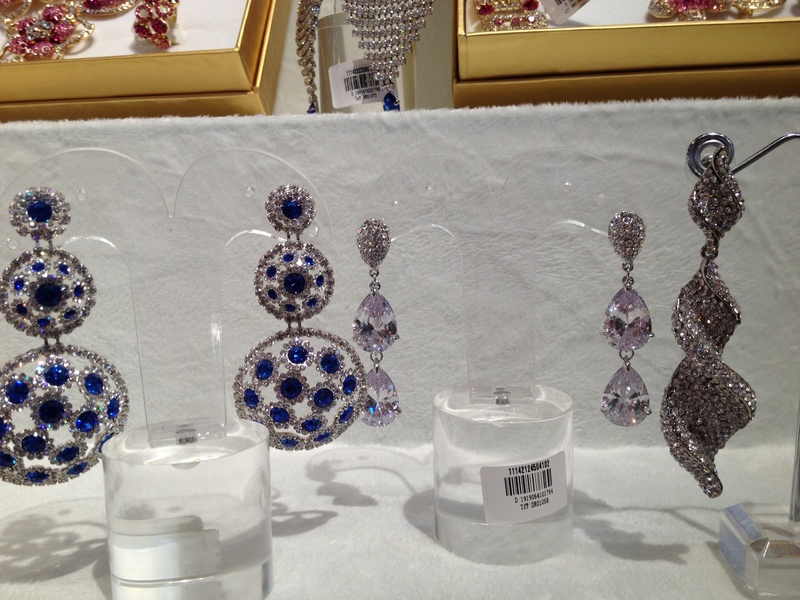 I did resist the desire to buy a monstrous tiara, though – they are truly CHEAP here! 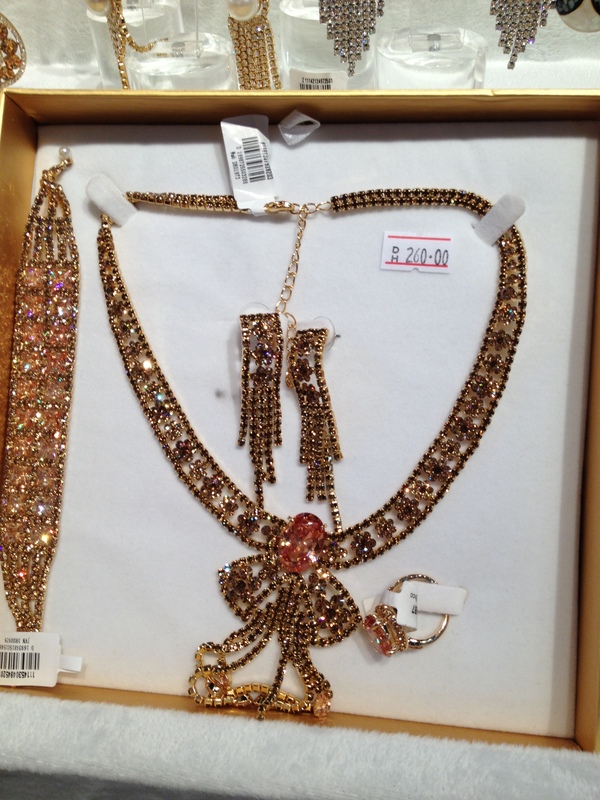 Definitely had southern Pageant Jewelry! “Hello. How much? ?” Loudly. Almost rudely. And weird, because it’s not my style. But, it got her attention and she grudgingly put down the phone, removed one earplug and looked at us. Didn’t stand up because that would have been WAAAAY too much trouble, you see. And as soon as we asked for something, she shook her head “no” and went back to her phone. So, we didn’t know if they actually *had* the battery we wanted, or if she simply didn’t want to be interrupted. 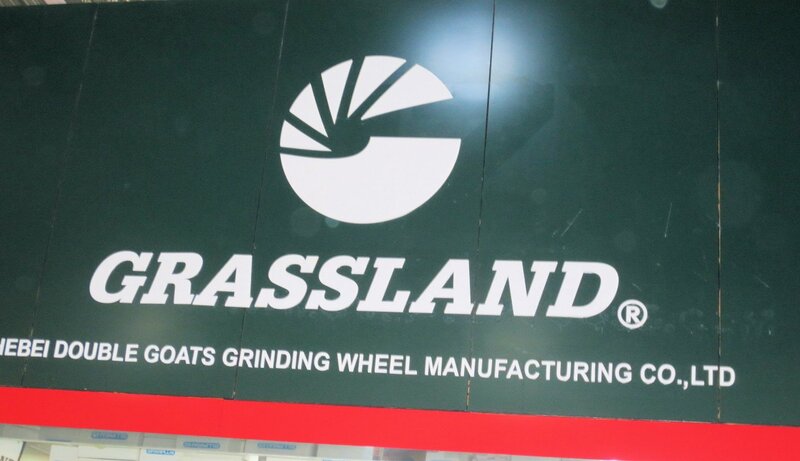 A sign from one of the merchants at Dragon Mart…… the “Goats Grinding Wheel” just made me smile. Oh, and a couple of really huge silk jungle plants, I forget the names of them – they’re tropical, but stupid expensive in the States, I’d shopped for them before. I tend to murder indoor plants, so silk is the way for this gal to shine. I snagged both these beautys for only AED350, IIRC…. That’s about… um….. Just under $130 for them BOTH. Shoot, I’d found the cost in the States to be more than that for just ONE. a smidge dusty, but the price was REALLY good! nice plants, huh? And yes, those are TBG’s bigass boots I forgot to crop outta the photo. 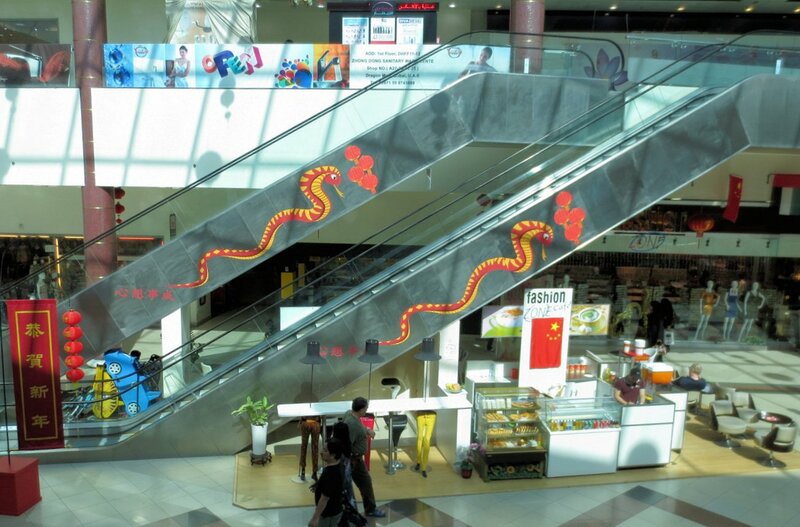 The escalators were oddly-decorated but interesting, and there were some Chinese entry-points that were fun. All in all, a great shopping place for things where quality isn’t critical or you’re looking for nothing in particular. Or if you’ve got an entire afternoon to just wander around and look at stuff. 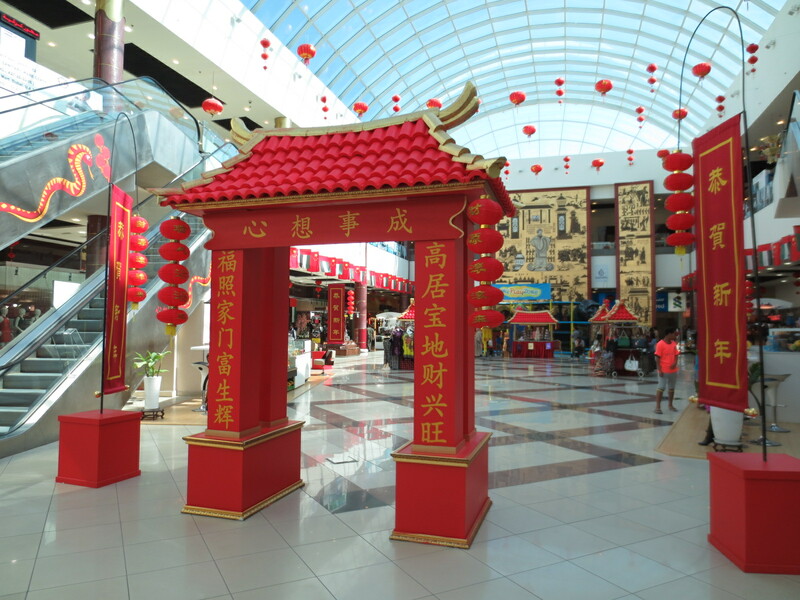 It’s sort of a Chinese Wal-Mart, but pleasantly confusing.